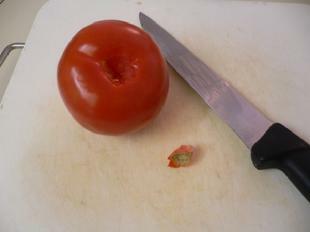 Cut the core out of a tomato. 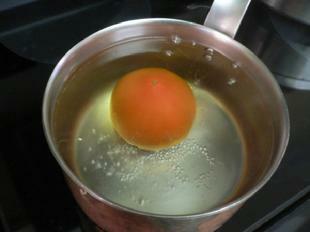 Place tomato into a small pot of boiling water. Leave tomato in water for a quick 10-20 seconds. Remove from water on place on a cutting board. 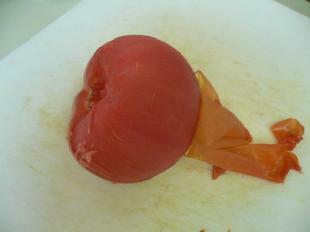 When tomato is cool enough to handle, peel off the skin. The skin should come off with little effort. If the skin is not coming off, place back in water for a few seconds. 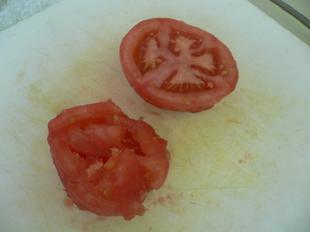 Cut the peeled tomato in half. Squeeze out most of the seeds. Use tomato as needed in recipe.